How do you bake ambient occlusion for a model? I have a model and I need to bake ambient occlusion for it. How do I bake an AO texture? You should do this manually if you plan to need to create a real texture and you want a clean unwrapping. If you only need an AO map, Blender can do it for you automatically. Now Hit Tab to enter Edit Mode. With your cursor over the 3D Viewport, hit A once or twice so that the whole model is selected (orange). With your cursor still over the 3D Viewport, hit U and click Lightmap Pack. 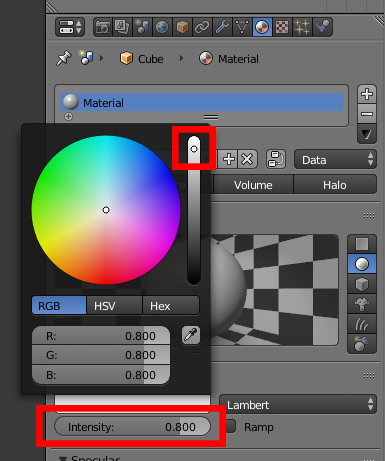 Enable New Image and set the resolution to a power of two that you want the lightmap's image to be. You should now have a UV unwrapping in the UV/Image Editor viewport. If you plan to use this ambient occlusion map as an overlay in an actual diffuse texture that you create, you want the flat parts of the surface to appear pure white so that they are pure transparent when overlaid with a multiply blend mode. By default, the ambient occlusion texture bake will include the color of the surface which is the default gray. To fix this, go to the Material tab and drag the color up to pure white and the intensity up to 1.000. 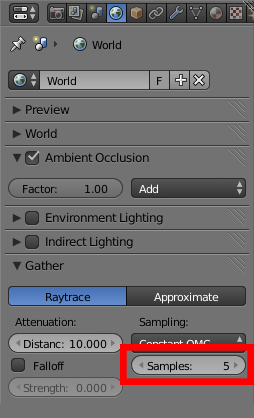 Under the World tab, enable Ambient Occlusion and then set the Samples under the Gather section to a number that you like. The higher the number, the higher the lightmap quality but consequently the higher the bake time. You may want to set it to something lower such as 20 for test bakes before you create a final bake at a higher setting such as 128. Next, go to the Render tab and under the Bake section, set the Bake Mode to Ambient Occlusion. Then hit the Bake button and wait as the ambient occlusion map is baked for you. You can watch the progress as the texture is created in the UV/Image Editor and the progress bar at the top of Blender. When it is done baking, leave Edit Mode by hitting Tab and setting the Viewport Shading to Texture. You can now see your model with ambient occlusion! You can now export this texture from the UV/Image Editor by clicking Image > Save As Image. 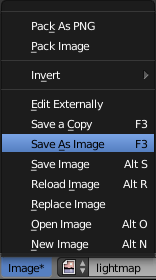 Then just name the file, choose a format, select a file location, and hit Save As Image. Not the answer you're looking for? Browse other questions tagged texture-baking or ask your own question. How do I overlay a lightmap image on another texture? 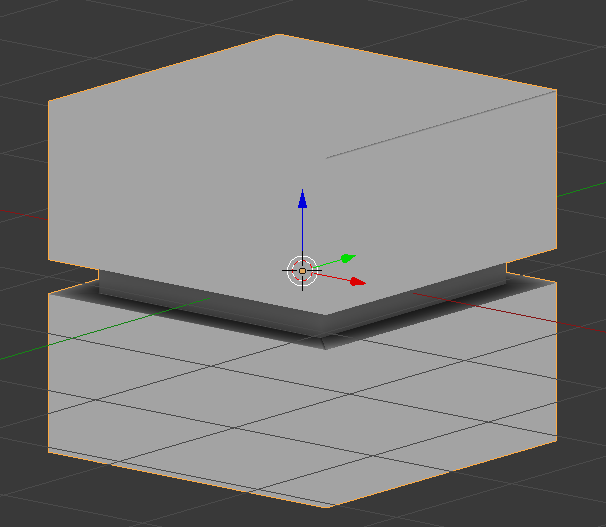 How do I make baked ambient occlusion surfaces appear white instead of gray? What are those black spots on my ambient occlusion bake?